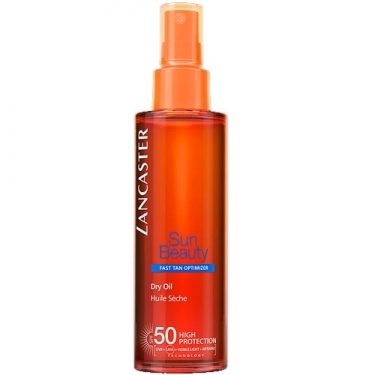 DESCRIPTION: Satin Sheen Oil Faz Tan Optimizer SPF50 from Lancaster is a tanning oil that contains an enhanced Tan Activator Complex for an even faster, deep and perfect tan. An innovative formulation that finally combines tanning pleasure with safe tanning. Includes Full Light Technology that protects the skin from sunrays and sun damage.